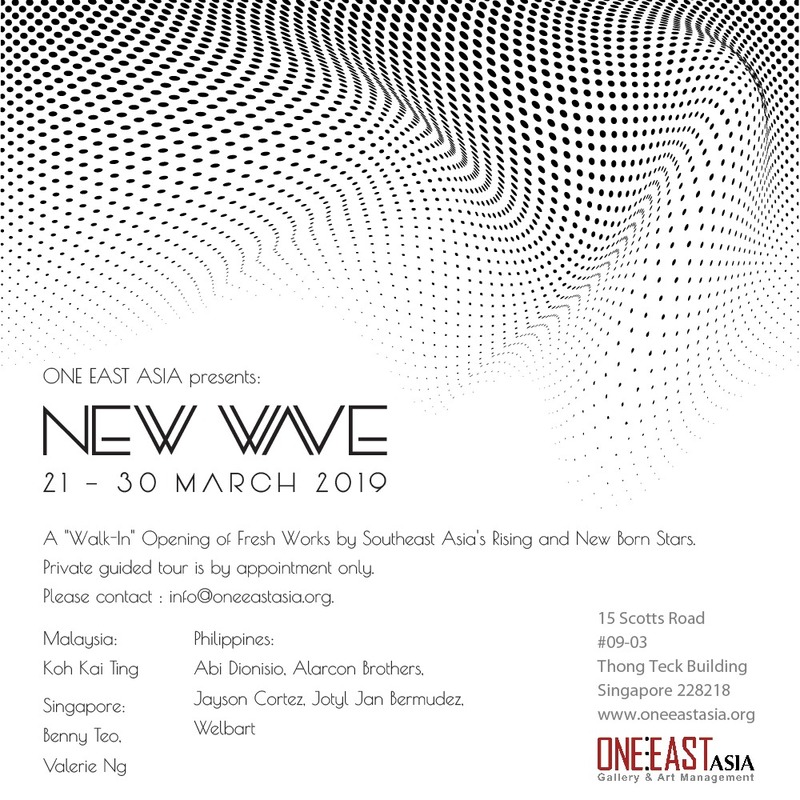 The NEW WAVE is a "one-on-one" collector viewing only exhibition. These 2 works are a continuation of the Ether series, where streamlines and geological curvatures create slowly shifting shapes expanding and ever moving across the surface. Made up of intertwining colour variations that glide through, interconnect, break off and converge. 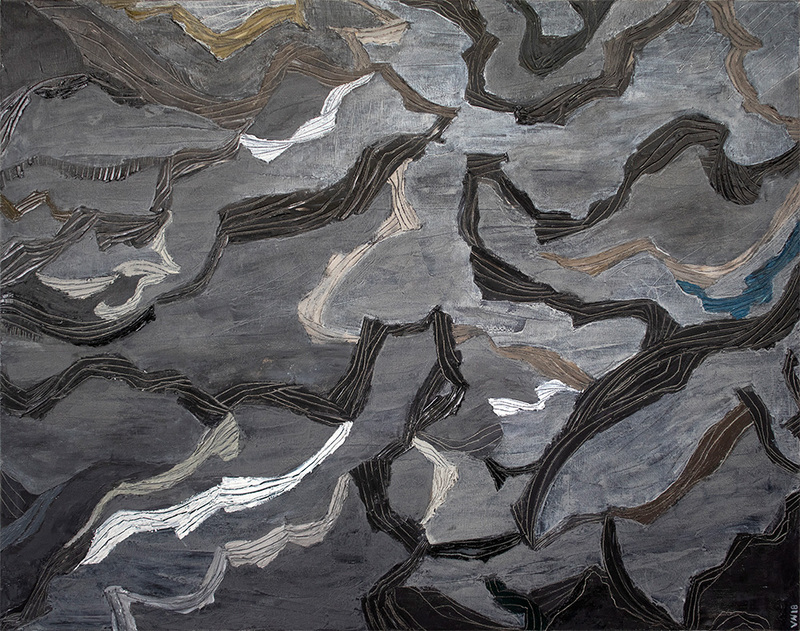 Into The Grey is an exploration of darker hues moving in a grey area. Along the way, a contrast of white and an edge of blue amongst shades of black and dark brown greys. The geo forms floating up to converge in a lighter space. Where undefined moments can still find its place. Into The Fold presents ribbons of darker colours travelling into lighter hues above. 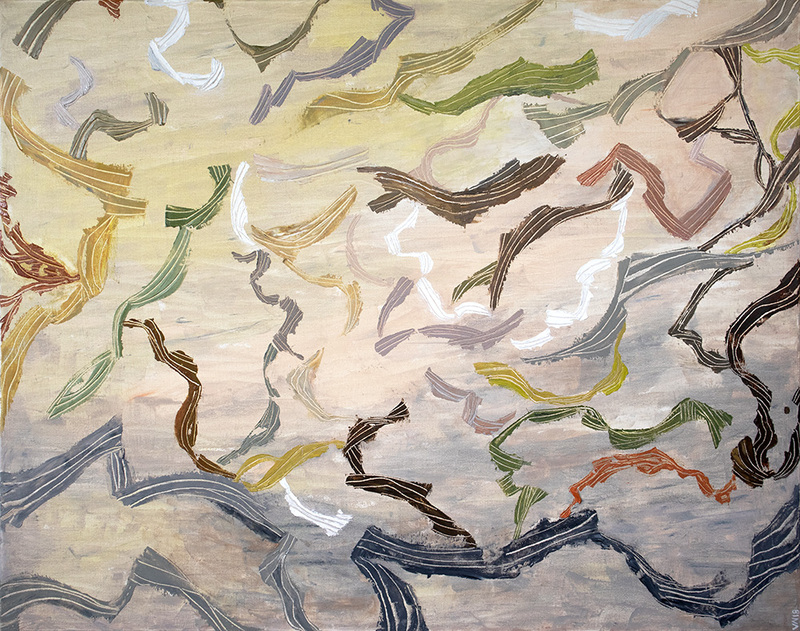 Strips of yellows, browns, greys and greens often folding into itself and twisting directions to reach its space. Moving towards an inclusive gathering or meeting point.